Attention Kendall Jenner, David Beckham and other celebrity "influencers": The U.S. Federal Trade Commission has its eye on your sponsored Instagram posts. Attention Kylie and Kendall Jenner, David Beckham, Emily Ratajkowski, Drake and all other celebrity "influencers": The U.S. Federal Trade Commission has its eye on your Instagram posts. The FTC, the regulator responsible for protecting consumers, has sent out more than 90 letters to influencers and brands reminding them of guidelines on making advertising endorsements via social media. The takeaway? Simply tagging a product or company name with "thanks" or including an inconspicuous #sp (purportedly to denote that the post is sponsored) doesn't go far enough. Also not good enough: disclosing that a post is sponsored at the end of a lengthy caption or after a laundry list of hashtags — knowing that such wordy strings get cut off on mobile screens and few people click to see more. In other words, the disclosure of promotional content must appear above the "more" button. "If influencers are given free products or being paid for endorsements, they should disclose that clearly," Ari Lazarus, an FTC consumer education specialist, wrote on the agency's website. "If you see a post labelled 'Ad,' 'Promotion,' or 'Sponsored,' or with a hashtag like '#Ad,' the person posting it is giving you important information about their connection to a marketer." 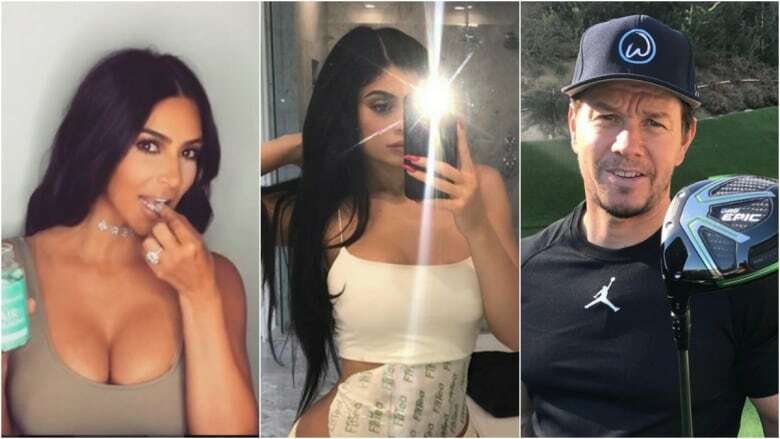 Influencer ad posts on Instagram make up a nearly $2-billion US industry today — one that's operating in a sort of advertising Wild West largely reliant on self-regulation, said Influicity CEO Jonathan Davids, whose firm connects companies with social media personalities. An investigation and fine from the FTC could take a dent of up to $40,000 US out of an influencer's paycheque, but for a high-roller with multiple sponsorship deals worth hundreds of thousands of dollars, it might not necessarily be a strong deterrent, he told CBC News on Thursday. That's why Davids encourages influencers — whose social media posts cross international borders — to come clean from the start. "It's perfectly fine if you're making a living on Instagram and getting free product, but why would you hide that? You'd only hide that if you feel dirty about it," he noted. "So that's why we always say 'Err on the side of transparency.'" The FTC's letter campaign is the first time the agency has reached out beyond the brands directly to reach social media personalities themselves. According to the FTC guidelines, if there is a "material connection" between an advertiser and an endorser — anything from a family or business relationship, actual monetary payment or even simply the product for free — that connection must be "clearly and conspicuously" disclosed. In October, Advertising Standards Canada updated the corresponding Canadian regulations, similarly requiring "clear and prominent disclosure" of endorsement postings, testimonials or reviews. Since then, ASC has received one complaint about an Instagram post that it ultimately found to contravene the Canadian Code of Advertising Standards. The post was amended to include #ad. In recent years, the FTC has sent out warning letters, investigated and even fined firms that have participated in undisclosed influencer marketing, including Lord & Taylor, Cole Haan and Warner Brothers. This latest initiative stems from petitions filed by Public Citizen, a non-profit democracy advocacy group, and others who have flagged the agency about the growing issue of brands teaming up with social media personalities with huge followings to market their wares to a young audience. Though the FTC did not release the names of the letter recipients, Public Citizen previously decried the "prominent and ethically egregious violations" of Instagram influencers in an investigation, citing famous faces such as recording artists Rihanna, Zendaya and Pharrell Williams, reality TV personality Kim Kardashian, fashion designer Victoria Beckham, athletes like Serena Williams, Michael Phelps, Michelle Wie, and actors such as Blake Lively, Lucy Hale, Lindsay Lohan and Mark Wahlberg. "Deceived consumers believe admired celebrities are making genuine, self-directed and enthusiastic endorsements of brands, not realizing that those celebrities are instead paid and may not even use the touted brand," Public Citizen stated in its September letter to the FTC. "Consumers, especially young consumers, are being deceived on a vast scale … Advertisers often assert that 'everyone knows' that paid endorsements are pervasive in social media, though there is no evidence to support this assertion, particularly among young consumers." Kim Kardashian is proof that this increased scrutiny can indeed spark change: the social media maven, who has regularly come under fire for posts that weren't disclosed as ads, now clearly denotes those that are sponsored. FTC.gov: Is that post #sponsored?